KitKat, the Nestlé confectionery brand, is encouraging consumers to take a YouTube break in its biggest ever redesign. 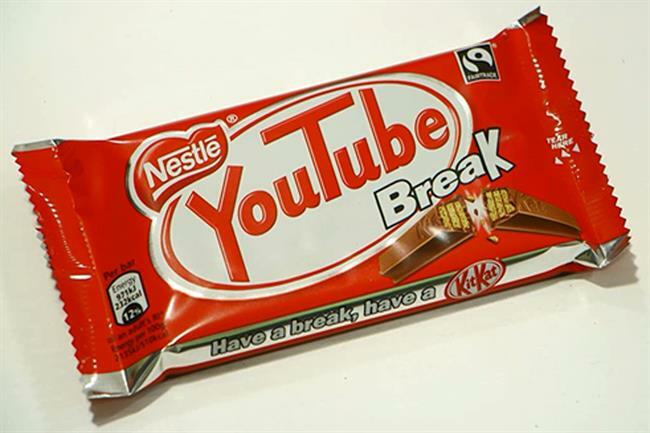 The "YouTube break" will replace the KitKat branding on wrappers as part of the "celebrate the breakers break" campaign by J Walter Thompson. It is one of 72 different types of "breaks" to feature on more than 400 limited editions for the two and four-finger bars, as well as the Chunky bars. Others include "me time break" and "sporty break". As part of the campaign, Google is also encouraging users to search for "KitKat YouTube my break" through the voice activation on their android phone to find trending videos. David Black, the managing director of branding and consumer markets at Google UK, said: "It’s great to see KitKat consumers are huge fans of YouTube and, along with our one billion users, regard YouTube as a favourite source of entertainment. "With half of YouTube views now on mobile devices, ‘YouTube my break’ is a fun way for more people to interact on the channel and enjoy the best videos available." The limited edition bars are available in shops now. Dame Fiona Kendrick, the chief executive and chairman at Nestlé UK & Ireland, said: "As KitKat celebrates its 80th anniversary and YouTube turns 10 this year, it is really exciting to be taking the partnership to a new phase with our most iconic brand and slogan, ‘Have a break, have a KitKat’."